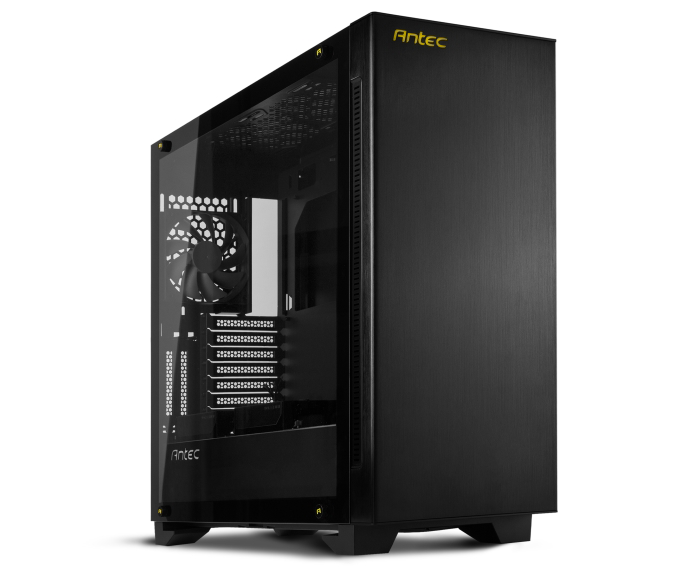 Antec has today released its new P110 Luce, a mid-tower chassis first shown off at Computex 2017 and sporting a tempered glass side panel and RGB lighting. Dominated by steel, the P110 Luce also features a 0.8mm brushed aluminium front fascia and a full tempered glass side panel for a clear view inside, where a PSU shroud and extended motherboard tray serve to hide cables and drives. It caters to ATX motherboard users, but micro-ATX and mini-ITX systems are supported too. Measuring 489mm deep, 230mm wide, and 517mm tall, the spacious mid-tower has room enough for CPU coolers 165mm tall or less and GPUs up to 390mm in length. Particularly large and weighty graphics cards may benefit from the adjustable, plastic GPU support bracket. Meanwhile, a pair of vertical expansion slots in addition to the eight normal horizontal ones enable support for vertically mounted graphics cards, although the bracket and cable needed for this are sold separately. Users can install two 3.5” drives and two 2.5” drives on dedicated trays, while four multi-purpose mounting points allow you to install four more drives of either size for a maximum total of eight. Fan mounting points at the front, top, and rear give support for up to six fans in total, and the case ships with a single 120mm front intake and another 120mm rear exhaust already fitted. For liquid-cooling, radiators up to 360mm or 280mm are compatible with the front mounts, the roof supports 280mm or 240mm models, and the rear will take a 120mm radiator. The top-facing front I/O panel includes a pair of USB 3.0 ports, two audio jacks, and a HDMI out port that can be routed to your GPU's HDMI output via a hole in the rear of the case. The power button is joined by an RGB LED control button, which can be used to switch the front logo and up to two RGB LED strips (sold separately) through several colours and effects. The internal Antec logo, meanwhile, is illuminated by white LEDs. 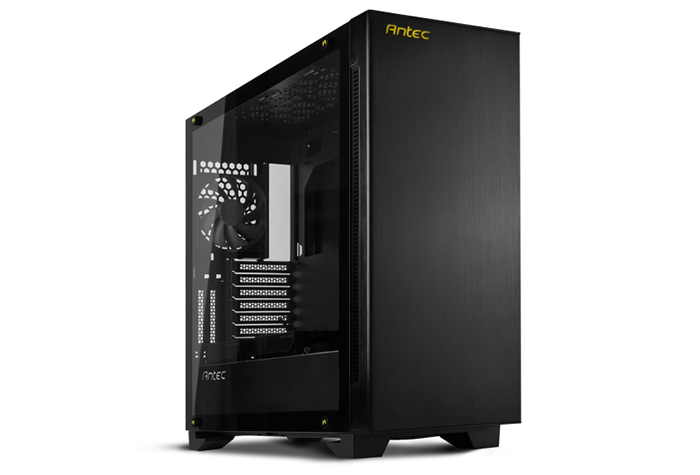 The Antec P110 Luce has an MSRP of 119 Euros, which has translated into a £109.99 price this side of the Channel. More information is available at the official website. I just checked out the product flyer for this. Looks good!